“Should you go to school today?” Not too many 15 year olds are asked whether or not they should go to school at 6:00am on a Tuesday morning. When my mother asked me that Tuesday, there was a level of uncertainty within the question that I never heard before. But, with fire and smoke seeping from one of the world’s tallest buildings on CNN, going out in public, even to get an education, seemed like a risky affair. However the choice was made, I found myself huddled with my peers during a school wide community meeting. Administration confirmed what many of us knew when we arrived to our classrooms. America was under attack. We were under attack. On an ordinary Tuesday I’d be at my internship. I would have been looking out the 22nd floor of the NBC building to admire my city, but that Tuesday I perused the San Diego skyline for 747s. On the drive home my uncertainty became frenetic and my eyes only pointed upward. Not for security, hope or solidarity, but in fear my hometown was next, however, I wasn’t the only San Diegan or American with eminent peril on the brain. Everyone was afraid: Afraid of Al Qaeda, afraid of Islamist Extremist, afraid of the unknown, afraid of Muslims. New York was sensitive to activity that smelled like terrorism. They had a whiff of it in the early 90s from the bombing, but this was different. Our symbols of power and wealth were moments away from collapse and people could be seen leaping to their death for a more acceptable fate. To be a 15 year old and watching the events unfold, I had many of the same questions as all Americans. Why do people hate us because we are American? Why do I feel unsafe, unprotected and subject to random acts of violence? On Wednesday, I contemplated what civil liberties I would sacrifice to be safe in America and I found myself haunted by the questions I had that Tuesday. But, Wednesday was July 17th 2013 and the feelings of insecurity and oppression permeated all that is inside of me. In 2013, those questions and feelings were still not my own. My parents and grandparents had to ask long before there was 9/11. They wondered why they were hated because of the color of their skin. They had to wonder why they felt unsafe and subject to random acts of violence. And, here, as my fingers touch my keyboard, I feel unsafe, subject to random acts of violence and hated because of the color of my skin. Hopefully, I will not have to look at my own child and explain why he or she feels what I feel now. The innocent people that were murdered on 9/11 should resonate with all of us particularly because they were innocent people. They were American Citizens abiding by the law, but targeted because of racism and hatred. The empathy that brought America together during that tragic period should be used to bring America together now. Nevertheless, this is the legacy of the Trayvon Martin verdict: My ability to leisurely walk in a hoodie in the rain in a neighborhood to which I belong, feels absent and my right to defend and uphold my rights are fleeting fantasies. If I am followed unjustly by a private citizen or stopped by police, I have no option but to comply with any line of inquiry or demands without regard to how undignified I may feel in doing so. This is not too different, however, from the feeling of not having an option but to have my phone calls and emails monitored by our government without suspicion of having committed a crime. Unfortunately, his lawyer does not know he is being ironic. This lack of empathy for the actual dead child is not that surprising. Those of us who have been victims of prejudice or systematic oppression seem to be able to imagine ourselves in the shoes of a young Trayvon Martin. I’ve walked to a liquor store wearing my infamous green hoodie in the rain to grab a snack on numerous occasions. Whether or not I looked suspicious because I looked at houses on my leisurely stroll back home, I have to put faith in you, dear reader, that you would afford me the benefit of the doubt. So, when I am asked whether or not I would have called the police to notify them of a suspicious character, the answer is “no.” I am willing to put faith in my fellow man (after all, what would Jesus do?) because he may be like me, one of the only black people in a predominantly white environment and may be wearier of me than I need to be of him. For people like Juror B-37, who find it hard to separate their sympathy from George Zimmerman in order to create sympathy specifically for Trayvon Martin, conjuring a memory of September 11th or simply putting herself in a dark alleyway would have been an easy way to quickly evoke empathy despite how hard it concealed its face. She may have been able to relate to the fear Trayvon Martin had while he was followed in the rain and in the dark: Unsafe, unprotected, afraid to be subjected to random acts of violence and preyed upon because of who he is. Throughout its tenure, American law has made possible the execution of our own children. America allowed juveniles to receive the death penalty until 2005 and with Stand Your Ground Laws children can be followed and executed in 2013. Minorities are disproportionately targeted in Stop, Question and Frisk Laws and cops with flippant trigger fingers have been known to accidentally shoot teenagers. Unfortunately, the failure of American law does not stop in Florida. There are multiple states with Stand Your Ground Laws and in case you are wondering Stand Your Ground Laws work in the favor of white Americans that have killed black Americans. The killing of 16 year old Abdulrahman al-Awlaki, the third U.S citizen killed in operations by sanctioned the president of the United States, (His father was the first) should raise just as much outrage as the killing of 17-year-old Trayvon Martin. We should be as weary of suggesting Trayvon Martin shouldn’t have been outside in the rain as we were of Robert Gibbs saying, Abdulrahman al-Awlaki should have had a more responsible father. Abdulrahman al-Awlaki was in Yemen looking for his father, Anwar al-Awlaki, who was killed in a drone strike weeks earlier for suspected terrorist connections with Al Qaeda. At the time of the drone strike that lead to the death of Abdulrahman al-Awlaki and his teenage cousins, they were eating in a restaurant. Sending drone strikes to kill American citizens without a trial or laws like Stand Your Ground bring into question how much of a “pro-life” nation we are going to be. It also calls into question whether or not private citizens or our government can play the role of judge, jury and executioner. Signature strikes are drone strikes that represent the consequence of implementing the Zimmerman doctrine into our foreign policy. Signature Drone Strikes are developed from “patterns of life” I.E if you are in a certain region, of military age (Which can be 15 years old), and you fit a pattern of other people the government believes to be terrorist, you can become a target. This form of “precrime” allows for the murder of people of which identification is unknown. They are being killed for who they could become or killed for who they might be. This should be sobering for all of us that read George Zimmerman’s description of what happened the night he shot Trayvon Martin. Zimmerman could not identify Trayvon Martin, but thought he fit a pattern of suspicious behavior of those believed to be responsible for burglaries in the neighborhood. 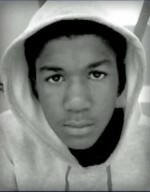 Zimmerman further targeted and pursed Trayvon, which resulted in Martin’s death and for no way to give Trayvon a chance to combat any evidence made against him. As a nation concerned about morality and raising children, what kind of country will we be? Will we continue the precedent of expecting our children to bow their heads to injustice and substitute their rights for survival? Our law in theory and in practice should reflect our duty to provide life, liberty and the pursuit of happiness for American citizens of all age, creed and color. The Stand Your Ground Law and drone strikes represent some of the worse parts of the American republic. They are relics to an American society pre the civil rights, women’s rights and voting rights epochs. They represent a ban on freedom of dress, a ban of the right to question authority and a ban on the right of all citizens to look at one another under equal protection of the law. This should not exclude people we suspect of crime. At the very least, someone should stand up and ensure our laws are centered on the question that has been at the heart of American legislation. What about the children? Previous Breasts and the Female Body: Form or Function?